Plane Saver celebrates serving over 1,000 members of the Armed Forces. Plane Saver is pleased to announce we now serve over 1,000 members of the Armed Forces, having lent over 1million GBP to date. In October 2015, Plane Saver launched alongside the Armed Forces to provide simple savings accounts and affordable loans for Service personnel straight from their pay. 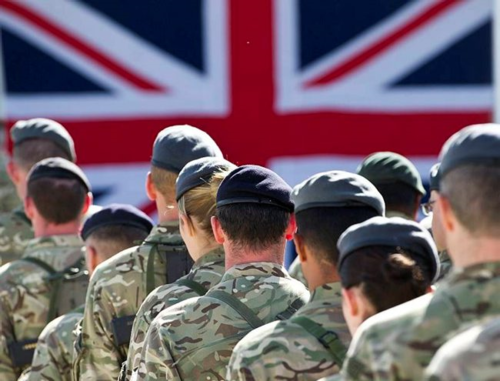 The arrangement, backed by the Ministry of Defence, aimed to tackle problems faced by Military personnel who may find themselves with limited access to financial services, leaving them a potential target for high cost credit providers such as payday lenders and loan sharks. In June 2016 Plane Saver also celebrated receiving the Bronze Award as part of the Armed Forces Corporate Covenant. "It is great to see we are delivering on our promise to serve the Armed Forces community. We are extremely proud to play our part in terms of improving the financial well-being for those that have served our country." Plane Saver CEO, Valerie Walwyn. Who can join Plane Saver? Members of all three services are welcome to join along with their family members and veterans who are in receipt of a MOD pension. Plane Saver also serve the airline and transportation sectors, serving the likes of British Airways, United Airlines, American Airlines employees and many more. Authorised by the Prudential Regulation Authority and regulated by the Financial Conduct Authority and the Prudential Regulation Authority. Firm Ref: 213609. All deposits are protected under the Financial Services Compensation Scheme. This press release was distributed by ResponseSource Press Release Wire on behalf of Plane Saver Credit Union in the following categories: Personal Finance, Business & Finance, Public Sector, Third Sector & Legal, for more information visit https://pressreleasewire.responsesource.com/about.